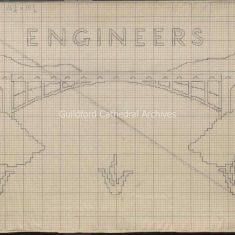 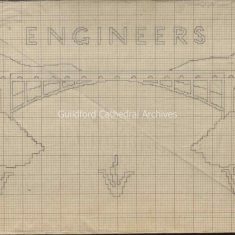 3 patterns for the Engineers Kneeler, all on card. 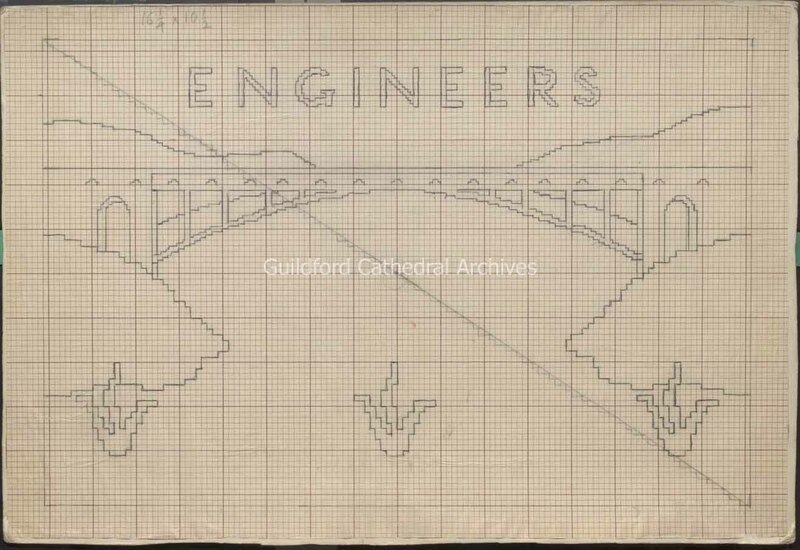 a) is a full colour painting on plain paper backed to card with a rounded design, b) and c) are pencil outline drawings on squared paper, c) has pencil annotations about sewing added on the reverse. 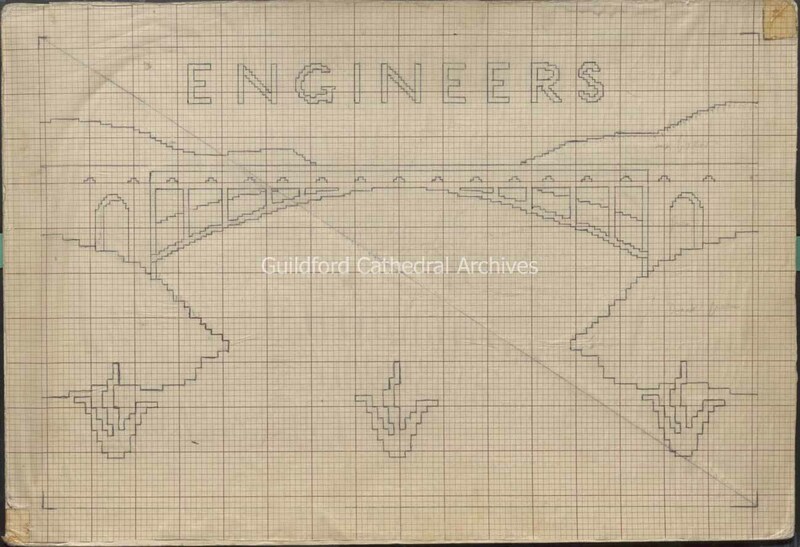 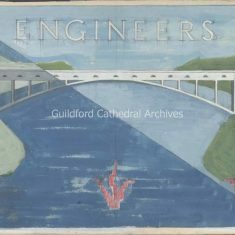 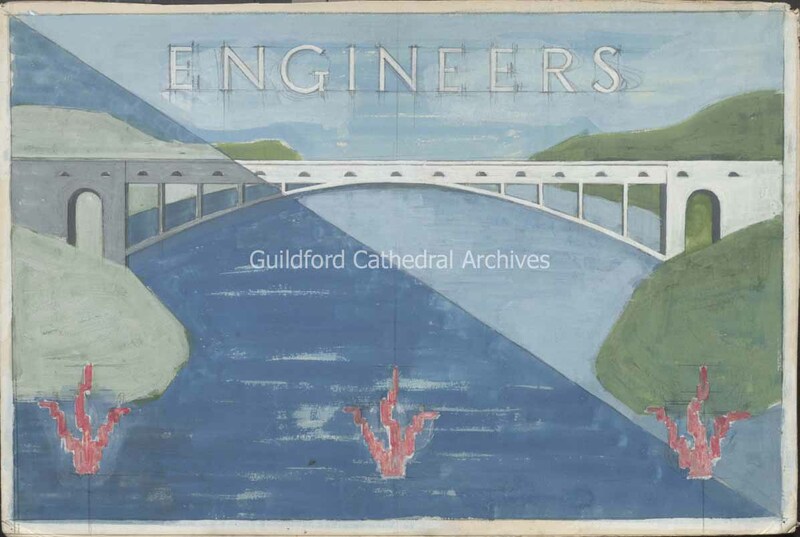 The design shows a bridge spanning a river with three flame motifs at the bottom and the word “Engineers” at the top.